Rob is an experienced award-winning lecturer, with research interests in applied economics and public policy analysis. In 2014, Rob was awarded a National Teaching Fellowship by the Higher Education Academy. This followed internal teaching awards, in 2012 (as inaugural recipient of the Nottingham Trent Students’ Union Outstanding Teaching award for Nottingham Business School) and 2013 (as one of two inaugural winners of the Vice Chancellor’s Award for Inspiration Teaching). Bridging teaching and research, Rob places great importance on the practice of research-informed teaching, to enhance students’ learning experiences. This passion led to Rob leading an HEA Workshop, and he provides sessions on research-informed teaching to his colleagues taking the NTU PGCAP. Rob has been supported in his EU-related teaching and research with two awards. In 2004 he received Jean Monnet module support; and in 2010 Rob was awarded a Jean Monnet Chair in European Economic Studies. These teaching-research interests saw Rob chair Nottingham Business School’s Research Ethics Committee for 10 years from its creation in 2007, designing and establishing the research ethics process in NBS. He is a member of the College Research Ethics Committee. In 2015/16, Rob established and chaired a Working Group to review and update all NTU policies on research ethics covering pedagogic research and learning analytics. Rob’s research covers numerous topics in applied economics and policy analysis. His research has been supported financially by the EU, ESRC, British Academy and Leverhulme Trust. He has received Visiting Fellowships from the Centre for European Studies, Australian National University, Canberra (twice), and the Centre for Governance and Public Policy, Griffith University, Brisbane. Rob supervises several doctoral students and has a 100% success rate in successful doctoral student completions. Rob is currently the REF Unit of Assessment Coordinator for Nottingham Business School. Prior to joining NTU in 2000, Rob was Lecturer in European Economics in the Department of Economics, University of Leicester. He was Deputy Director of the Centre for European Studies, Programme Leader for the MA in European Economic Studies and also held a Jean Monnet Chair in European Economic Studies. This provided a solid foundation for the career development seen since 2000 here at NTU, where he progressed from Senior Lecturer in Economics, to Reader in European Economics in 2006, and to Professor of European Economics and Policy in 2010. Rob’s research interests are wide-ranging, but are all unified by the themes of applied economics and policy analysis. Starting with his undergraduate studies, Rob developed an interest and expertise in EU agricultural and budget policies. More recently, the agricultural policy interests were extended to the analysis of biofuels policies. From this, Rob’s research has focused increasingly on the dynamics and drivers of renewable energy policies and, in particular, their implications for sustainable mobility, especially within a multilevel governance setting. Rob is also currently researching Europeanisation and the two-way transmission of policies between different levels of governance; post-sovereign transnational policy governance; and the informal economy. 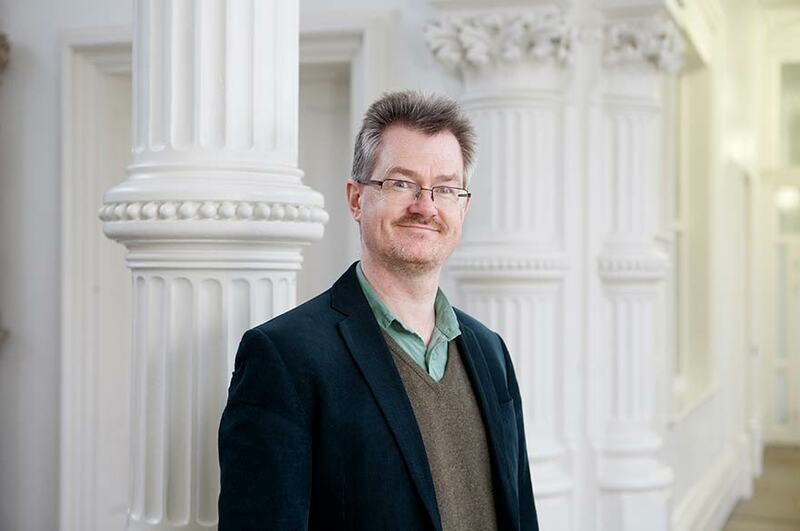 As with all of his research, Rob is interested in particular in questions of policy and governance, including developments in the theoretical frameworks used to analyse policy processes. This has been seen most notably in his work on the multiple streams framework. Rob is the author of two books: The Common Agricultural Policy (2000; Sheffield Academic Press) and The Growth of Biofuels in the 21st Century: Policy Drivers and Market Challenges (2014, Palgrave, jointly with Professor Adrian Kay, currently at Universiti Brunei Darussalam). He has published articles in many leading international public policy and applied economics journals, including Governance, the Journal of Common Market Studies, the Journal of European Public Policy, the Journal of European Social Policy, the Journal of Rural Studies, the Journal of Agricultural Economics, the World Economy, Post-Communist Economies, the International Journal of Human Resource Management and Corporate Governance: An International Review. Rob leads the Public Policy and Management Research Group in Nottingham Business. He also has particular responsibility within that for the Applied Economics and Policy Analysis group. He co-leads the sustainable mobility research group, which is located across the Public Policy and Management Research Group and the Responsible and Sustainable Business Lab in NBS. He is a researcher with the NTU Sustainable Futures Research Theme. Rob’s current and recent doctoral research students are investigating a number of issues related to his research. These include sustainable mobility, renewable energy, trade & FDI, and agricultural innovation. Rob was awarded Visiting Fellowships to Griffith University (in 2007) and to the Centre for European Studies, Australian National University (in 2012 and 2014). Rob's research has resulted in him engaging directly with policy-makers and civil society. Rob has submit evidence to several House of Lords European Union Committee Inquiries on the EU Budget. In 2013/14, Rob contributed to discussions on the EU Budget and Agricultural Policy, as part of the government’s Balance of Competences Review. He also delivered an invited presentation to one of the agricultural policy meetings. Also in 2014, whilst visiting the Centre for European Studies at the Australian National University in Canberra, Rob was invited to give talks on ‘The eurozone crisis’ and ‘Where is the EU Headed?’, for the annual ANU CES European Union Training Course for government officials, principally from the Department of Foreign Affairs and Trade, Canberra. Rob has acted as External Examiner for PhDs at Cambridge University, Utrecht University and Goldsmith’s College, University of London. Rob is a member of the Editorial Board of Economic Issues, a member of the Advisory Board for EuroChoices and was for a number of years a member of the Editorial Board of the Journal of Common Market Studies. Rob has contributed to many media discussions. In recent years, these have focused mainly on the EU, migration and Brexit. In 2001 Rob was the only academic from a post-1992 University awarded funding from the UK Government Challenge Fund. For this Rob undertook a project for DEFRA (Department for Environment, Food and Rural Affairs) looking at the budgetary impact of extending the CAP to the to the then-applicant countries working towards EU membership. * In 2007 Rob was awarded a Leverhulme Trust Research Fellowship. This award, of over £13,000, enabled Rob to spend a term working as a Visiting Fellow in Griffith Business School, Griffith University, Brisbane, researching the domestic and international policy factors that lay behind the EUs 2005 reform of its sugar policy. * In 2008 Rob was a member of a team, led by the University of Nottingham, that received support from the Nuffield Foundation to analyse the impact of EU sugar policy reform on sugar market and price volatility. * In 2009 Rob and Adrian Kay were awarded over £78,000 by the ESRC to investigate the dynamics and interactions of food and biofuels policies in the EU, USA and Brazil. * In 2014, Rob was a member of a team to receive £21,191 from the ESRC for a seminar series entitled 'Green Innovation: making it work'. * In 2015 Rob, with Hafez Abdo (NBS) received £6362 from the British Academy and Leverhulme Trust for ‘Green energy, fiscal incentives and conflicting signals: analysing the challenges faced in promoting on-farm waste-to-energy projects’. Rob’s publications also confirm his collaborative approach to research. He has published jointly with a number of international collaborators. Moreover, these collaborations include joint publications written with former Doctoral students. Professor Ackrill can provide comments on European Union policies, including agricultural and budget policies; biofuel policies; renewable energy and sustainable mobility policies; migration; and Brexit.